My brother lived in the back of his pickup for five years….in Canada…with no heater. Scaling the multiple routes on The Chief–an imposing rock that draws rock climbers from around the globe—was like a religion for my brother. Weekend warriors drove to the base of The Chief from Vancouver, where they’d break in their new climbing gear, while often mesmerized by my brother’s seemingly effortless scaling. Sometimes, he worked as a climbing guide and coach. Could aspiring young climbers learn from the guy? Absolutely. But did they want to live like him? Probably not. He really did live in the back of his truck, at the base of the rock. He had no other home. It wasn’t a swanky truck and camper deal either—just a simple canopy with a blow up mattress inside, and a Coleman stove that he used for cooking. Compared to my brother, I’m a spendthrift. But I was still careful enough with my money to have amassed a one million dollar investment account by the time I was 38. And then I published a bestselling book (Yeah, I was surprised!) which outlined my spending and investment philosophy. No, I’m not a doctor, lawyer or businessman. I’m a high school teacher. I’ve never claimed that, “Yes, you too can build a million dollar portfolio on a teacher’s salary before you’re 40.” Like my brother, I had a lifestyle you probably wouldn’t deem comfortable—or even sane. But could you learn money lessons from me, the way you could learn climbing lessons from my brother? I think so. The biggest advantage I probably had was that nobody ever gave me any money. When I wanted material things, as a kid, I had to pay for them myself through paper-routes and other part-time jobs. When I wanted a car, as a 16 year old, I had to pay for it myself. If somebody had given me money for a car, or if they had paid for my college expenses, I wouldn’t be where I am today, financially. I know my strengths and weaknesses as a person. If somebody had offered to do my heavy lifting, I wouldn’t have developed the muscles to do it myself. I would have been weak. And I certainly wouldn’t be a millionaire today. Not receiving financial handouts ensured that I never wasted money, but I didn’t believe in squandering time either. Time, after all, is all we have. I never believed in sacrificing my youth for a swanky retirement. I hoped I could have both. When I graduated from high school, I flew to Europe, took a series of part-time jobs, stayed with relatives in the UK and raced my bike—with aspirations of being the next Greg LeMond. It didn’t take me long before realizing that receiving an invitation to the Olympic trials and actually being good enough to make a living racing bikes were two different things. But not putting my nose to the academic grindstone, right away, set a precedent for travel and adventure that I eventually grew addicted to. Time to really live, I believe, is the greatest asset we have. I came back to Canada (tail between my legs) after one year of racing in Europe, and enrolled in college classes to become a school teacher. From a financial perspective, I was behind the eight ball. Some of my high school friends had a full year on me, and their schooling was paid for by their parents. But I didn’t feel disadvantaged. I was hitting the gym, metaphorically, when so many others were hitting the health spas. I was developing financial muscles, working a part-time job each day after school, while picking up full time work each summer. I dug ditches, washed buses, worked in a supermarket, mowed lawns, washed cars, and delivered city buses (occasionally) from one city to the next. My best education, in fact, took place while working at one of my part-time jobs. I met a mentor—a millionaire mechanic. I was 19 when we met, and he got me on the road to investing. “You should invest at least $100 a month,” he said. That’s when he asked me if I could afford to buy a can of Coke and a chocolate bar out of a vending machine every day. I figured that I could, if I had to. “Do the math,” he said. I started to invest $100 per month, and each year, I increased that amount. By the time I had my first teaching job, I was investing $2000 per month. And I’ve increased that amount every year since. How did I invest $2000 per month on a teacher’s salary? I was, after all, kin to the rock-climber in the pickup who never paid rent. No, I didn’t move into a truck. But I hardly paid rent during my first years as a teacher. I placed ads in the local paper, offering to look after people’s homes when they were away. This allowed me to plough rent money into investments. I also lived mostly on potatoes, pasta, and free clams that I’d dig up on the beach. My story of saving money is pretty extreme. But I’ve also rewarded myself. I’ve travelled to dozens of foreign countries, and today, I live quite luxuriously, enjoying massages (for example) every single week of the year. Along the way, I also learned to invest effectively. Can you see me wasting money on investment fees, like those charged by most financial advisors? No way. And like a full-time rock climber- turned guide, I think I can show you where to place your hands and feet while you’re building your own wall of assets. I wrote Millionaire Teacher because I thought I could help—while entertaining people at the same time. Guest post by Andrew Hallam. Andrew became a millionaire on a schoolteacher's salary while still in his 30's and is currently on leave from Teaching English in Singapore to promote his book and spread financial literacy. If you would like a chance at winning a copy of The Millionaire Teacher – The Nine Rules of Wealth You Should Have Learned in School, leave a comment below. Thisbook sounds like it will really help the average Joe figure out their finances and how easy it can be. Going to borrow this book from the library as soon as I can! It is interesting that you dropped Edward Jones. If I may ask why and what did you do next? I am on the road back to financial recovery and it has been a very long four year journey. I am constantly reading and getting new tips. I thought it would be easier to link with Edward Jones or a like company to free up some of my time. Maggie – If you could send me your mailing address via my contact page I can get the book in the mail to you. Wow! Thanks so much! I’ll DM you on Twitter with my address. This made my day! Congratulations Maggie! 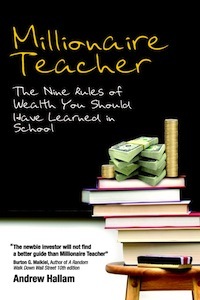 You have won a copy of The Millionaire Teacher – The Nine Rules of Wealth You Should Have Learned in School. Contact me with your mailing address and I’ll sen it along! Back of truck now, top of mountian someday! You AND your brother are very inspiring and this is a wonderful story that you shared. Very interesting story, thank you for sharing. 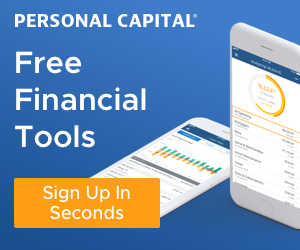 Great site, you have inspired me to revaluate my financial situation and make changes that I understand and feel good about. Keep up the good work. My husband and I, both teachers, love your book. We’ve dropped Edward Jones and are now effectively investing. 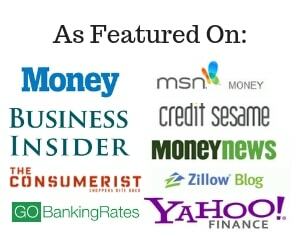 One topic missing from your book is the subject of mortgages. You talked about paying off credit card debt first, but how about home payments? We are not sure where that fits in. Could you comment on this? Very inspiring. We all make choices, too often without thinking how they affect what we can do. To put a priority on our goals can make those choices stepping stones to those goals. Your story is proof that anyone can do it if you are willing to make the sacrifices. 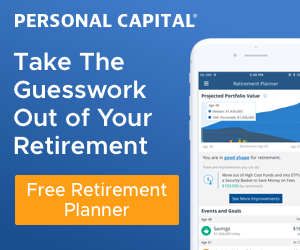 I achieved financial independence at 38 years old. My route was more traditional in that I invested in rental property. Good, very inspiring story in deed.